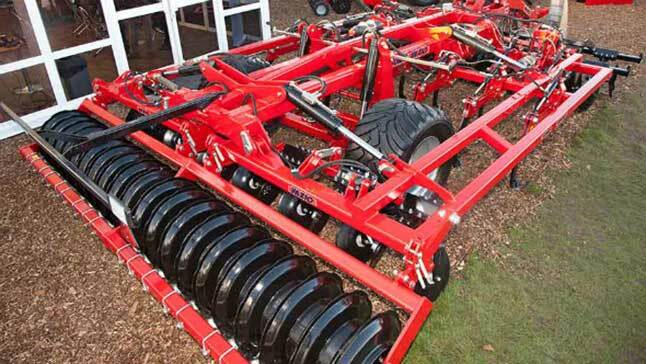 SUMO has launched a brand new shallow cultivator – and our customers can be among the first to demo it. Unveiled earlier this month at LAMMA 2018, the Vaxio is the latest addition to the UK manufacturer’s range. The company’s developed a growing reputation for quality, hard-working, hard-wearing machines over the past five years. Judging by the concept Vaxio we saw, farmers won’t be disappointed. It can be used for shallow chitting and levelling and is available in four working widths (from three to six metres). 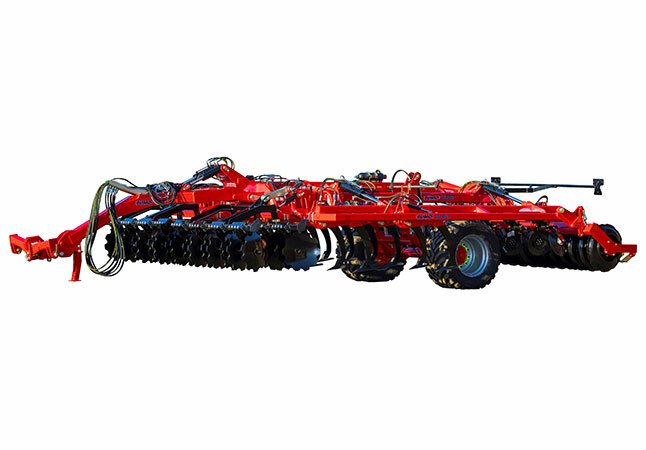 It can fold to a 2.8m or 4m model, works to 250mm deep, features 20-inch double drive discs and comes with hydraulic folding options which can all be operated from the cab. The SUMO Vaxio is available to pre-order now for delivery this autumn. If you’re interested you can sign up now for the very first field trials in Lincolnshire. Quick change point, hydraulic auto-reset. Levelling discs can be swapped for a levelling board.